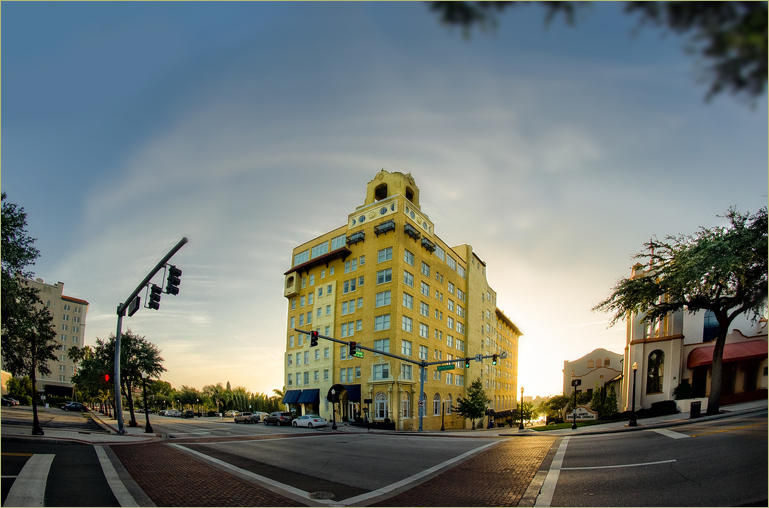 Located in the heart of Downtown Lakeland, Florida and less than 5 miles from I-4, NOBAY is Lakeland’s only mix use community, combining modern, open concept apartment living with new retail and restaurant amenities on-site! We proudly offer fresh and upscale one bedroom, one bathroom loft-style units, and two bedroom units, each having en-suite master bathrooms for each resident. NOBAY residents will enjoy being only a few minutes’ walk to Munn Park, Lake Mirror, Lake Morton, the Terrace Hotel, downtown restaurants, bars, coffee shops and other retail establishments. 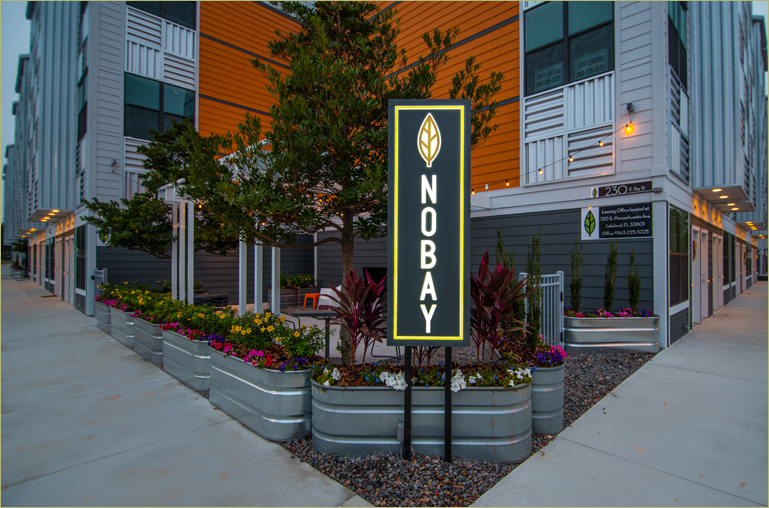 What’s more, NOBAY is pet friendly and provides on-site parking for residents! Woodland Heights Apartments is nestled in a quiet setting adjacent to Peterson Park that is conveniently located off Cleveland Heights Boulevard. Woodland Heights is a community offering a great residential environment with spacious two bedroom apartment homes. Walking distance to Lakeland Family YMCA, Cleveland Heights Golf & Country Club and Lake Hollingsworth. If you are looking for a quiet, relaxing community located only minutes away from shopping, restaurants, entertainment and Polk Parkway, then come let our friendly staff show you all we have to offer! 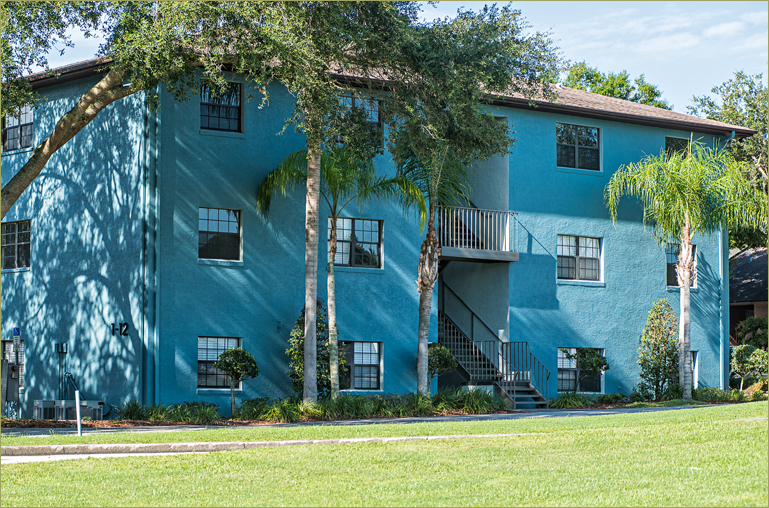 Located in Downtown Lakeland, Florida you’ll find comfort and convenience in this affordable luxury apartment community. Lake Mirror Tower has many features that make it not only a great place to live but a place you will be excited to call home. Our spacious one and two bedroom apartment homes feature fully equipped kitchens, ceramic tile, two inch faux wood blinds, and lake views. Residents enjoy many community benefits such as a lap pool, historic lobby, lush landscaping and a lake within walking distance. Easy access to I-4 puts you in a highly desirable location and residents enjoy numerous shopping and dining venues nearby. Please select one of our residential properties below. Looking for Our Commercial Properties? 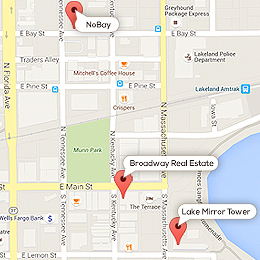 Click on the button to the right and you will be taken to our commercial property list.